Bucket-style, race-inspired front seats. 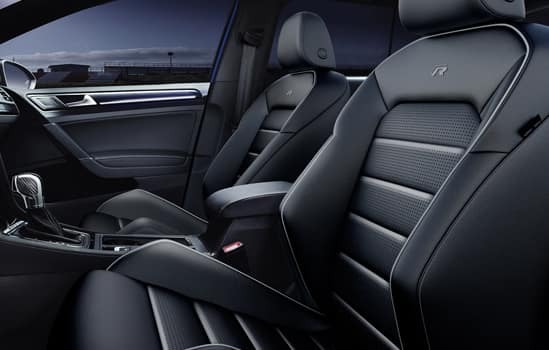 The large and bolstered design really lets you sink into the action, whether you’re behind the wheel or you’re the copilot. 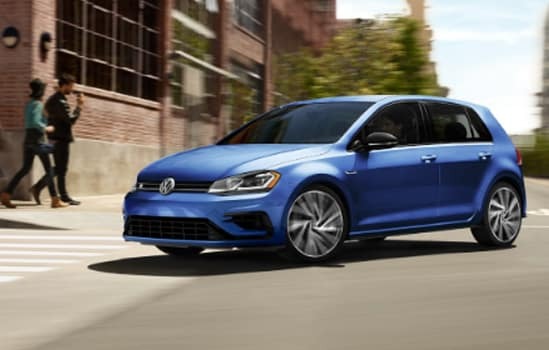 The Golf R doesn’t just go fast, it looks fast with its carbon fiber look trim. This display is a true breakthrough. 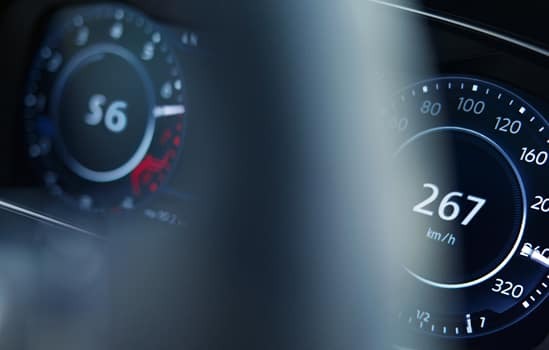 Instead of the traditional instrument cluster, information can be displayed digitally in high resolution. View your vitals in real time with three digital gauges monitoring performance information, like multi-direction G meter, boost pressure, and engine power usage. Available Adaptive Cruise Control (ACC) helps maintain a preset distance from the car in front of you. When activated, if the car in front of you speeds up or slows down, the sensors can detect the change and your car follows suit. 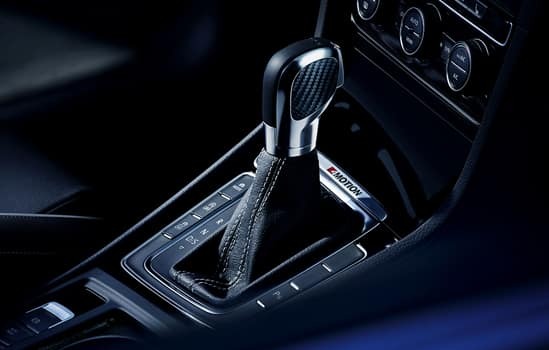 With the available Follow-to-Stop feature on automatic transmissions, in certain situations, the system can apply the brakes until your vehicle comes to a stop. After coming to a stop, the driver needs to keep their foot on the brake. 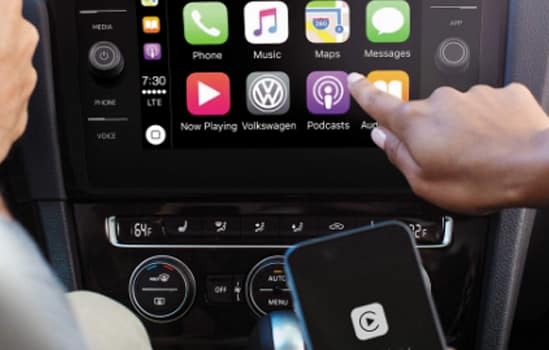 The available Forward Collision Warning (included in Front Assist) system can help monitor traffic and can alert you acoustically and visually to a potential front-end collision with the vehicle moving ahead. If it senses that a collision is imminent, Autonomous Emergency Braking (included in Front Assist) can support the driver with increased brake pressure or, under certain circumstances, it can apply the brakes automatically. The available Pedestrian Monitoring (included in Front Assist) feature can warn of pedestrians crossing in front of the vehicle and, under certain circumstances can, brake automatically to help prevent or mitigate the outcome of a collision with a pedestrian if the driver doesn’t respond adequately to the warnings. Besides looking great, the sleek glass display helps make the map more prominent, while available dynamic route guidance can assist you with turn-by-turn information. 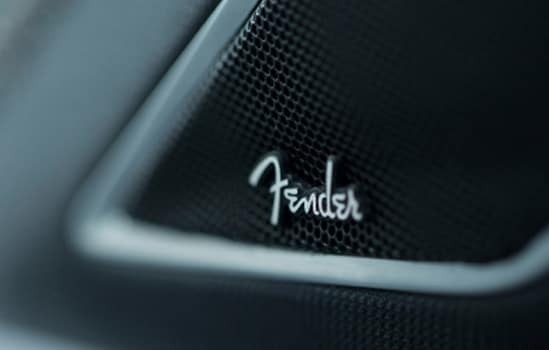 Transform your Golf R into a concert hall on wheels with the available Fender Premium Audio System that has a 400-watt amp and eight speakers, plus a subwoofer. Rock while you roll. Get your fingers warmed up. 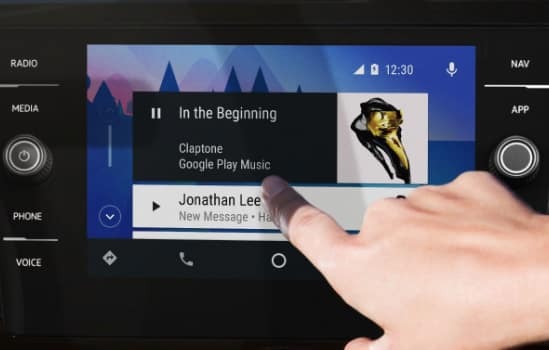 SiriusXM offers music, plus major sporting events and some of the biggest names in entertainment, news, and comedy are available with a 3-month trial subscription. 292 hp and 280 lb-ft of torque can take you from 0 to 60 in under 5 seconds. It won’t take much more to heat things up. 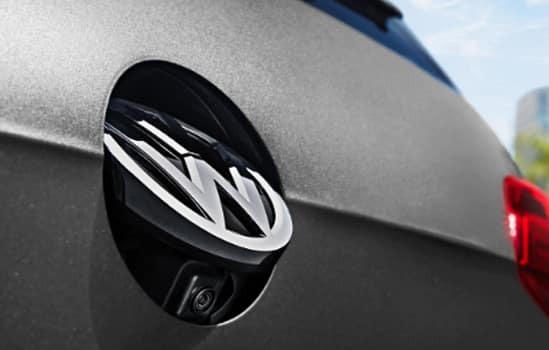 The 4MOTION all-wheel-drive system transfers torque between the front and rear wheels. In normal driving conditions, power is delivered to the front wheels. But 4MOTION can also send torque to the rear axle when it’s needed. Talk about a power move. 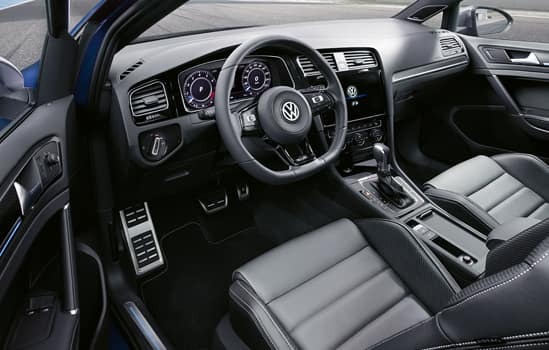 Faster shifting than a manual transmission, the available 7-speed DSG automatic transmission lets you quickly upshift and downshift using paddle shifters located within a finger’s reach on the steering wheel. It’s accelerated shifting. 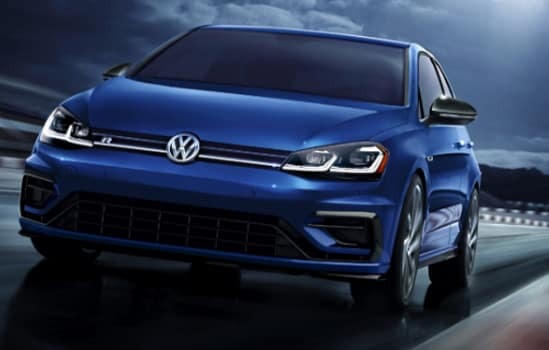 With three settings of suspension firmness to choose from, DCC adaptively controls the damper valves of the Golf R with a refined control algorithm. 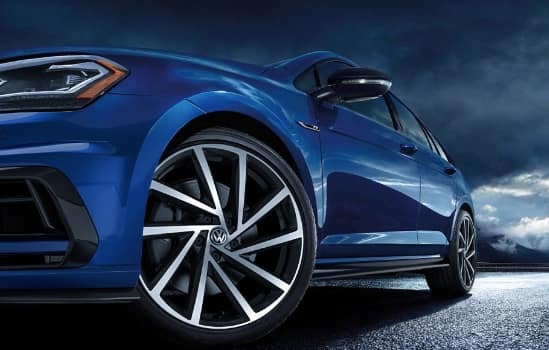 Taking input signals from wheel sensors and front and rear acceleration sensors, DCC adjusts the optimal damping force, selectively applying force to the four wheels individually.